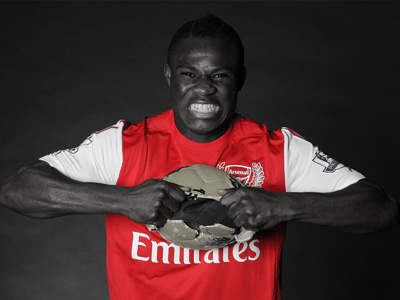 Arsenal have officially announced the departure of youth product, and long time Gunner, Emmanuel Frimpong. The Dench 22 year old secured his move to Barnsley earlier today for an undisclosed fee, in what has turned out to be a permanent move rather than the loan move it initially appeared to be. Frimpong looked to have a promising future with Arsenal, having been an important part of Arsenal’s youth team for several years. He looked on the verge of breaking into the first team, making several appearances for the club at senior level, but injuries have hampered his progress significantly. He’s a lifelong Gunner and it’s unfortunate he couldn’t make it at Arsenal, hopefully he gets his career back on track at Barnsley. With his contract ending this summer anyway, it’s good for both parties to get him off the books and playing football again as soon as possible. Good luck Emmanuel.